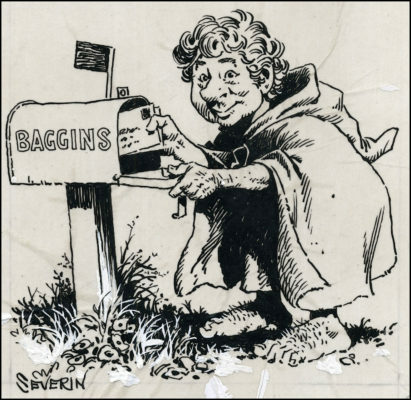 Many of you may not be familiar with the work of cartoonist John Severin. He came to my attention through the “Cracked” humour magazine film parodies published in the late 1970s and early 1980s. What caught my attention was Severin’s skill at rendering a likeness to the actor/actress while retaining a humorous cartoon feel to his work. 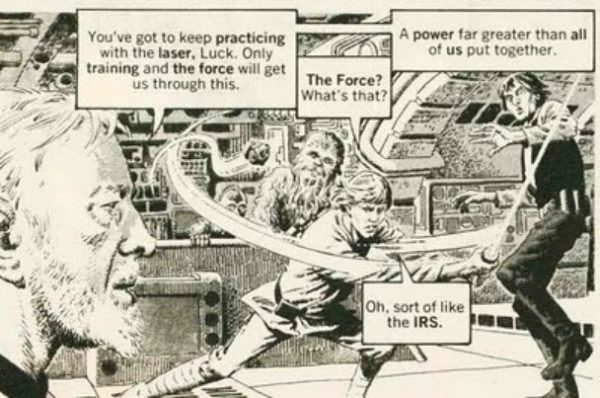 Many years later, I found out that John Severin’s career in cartooning and comics stretched back to the heyday of EC comics in the 1950s. Recently, Fantagraphics has published reprints of EC stories curated around specific artist’s work. I was fortunate to find a copy of another Fantagraphics title that reprints both issues of the ill-fated “Blazing Combat” comics magazine. 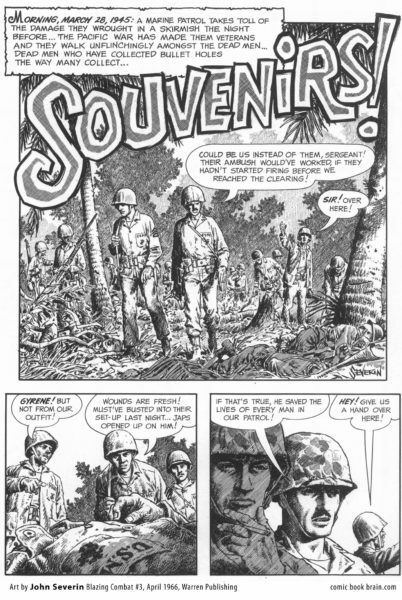 “Blazing Combat” was published by Warren in the mid-60s but the sensibilities of the stories clashed with the general public sentiment regarding US military actions of the time. 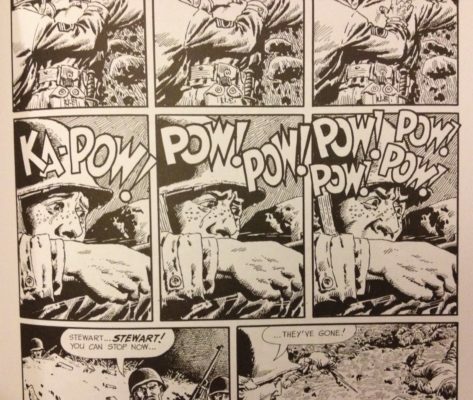 Regardless, several stories by John Severin in “Combat” and they are beauties. One in particular, “Holding Action” depicts an inexperienced soldiers ordeal on the frontline of a battle in the Korean War. Without revealing too much, the story shows the toll taken on some in the theatre of war. Severin used a beautifully controlled pen hatching technique with spare touches of mechanical tone. How he balanced that control while retaining a loose feel is part of his magic.